I’m participating in The Longest Day to show my love for all those affected by Alzheimer’s disease. On June 21, I am joining others around the world and doing what I love to honor people living with Alzheimer’s, their caregivers, and those lost to the disease, while raising funds and awareness to advance the care, support and research efforts of the Alzheimer’s Association. Today, an estimated 47 million people across the world are living with dementia. This number is set to skyrocket to 75 million by 2030. In the United States alone, more than 15 million caregivers generously dedicate themselves to those with Alzheimer’s and dementia. These numbers will only continue to rise unless we take action. 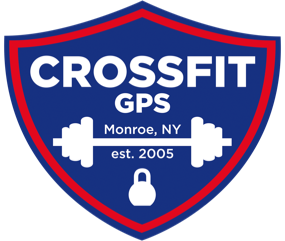 For the month of June CrossFit GPS will be offering an 8:30 am CrossFit class every Saturday for a suggested donation of $20. This class is available to any skill or fitness level. We are happy to share healthy and fun movement with everyone. On the Longest Day, Wednesday June 21st, we will have another workout by donation at 5:30 pm, and then wrap it up with dinner at the Planet Pizza Party Room at 7:00 pm. There will be a delicious and healthy dinner catered by Fuel4Life Meals. The suggested donation will be $30. All donations will go to the Alzheimer’s Association. At dinner we will hear from an Alzheimer’s Association representative to teach about Alzheimer’s topics we all need to hear. Other speakers TBD. Tickets may be purchased that night for the silent auction. Together, we can show those facing Alzheimer’s disease they are not alone. Please make a donation to help the Alzheimer’s Association advance research toward the first survivor of Alzheimer’s and provide care and support to those facing the disease today. Please share this with everyone you know, and take action.